Every time you pick up a book the pages take you on an adventure, but how often does a book take you on a real life adventure? Not very often, and that's why I've asked for Truffles' permission to take over today to tell you a really cool story. On Mother's Day I gave her a copy of the new book Fireball: Carole Lombard and the Mystery of Flight 3. From the publisher: This fresh look at Hollywood's "Queen of Screwball," Carole Lombard, presents a first-ever examination of the events that led to the shocking flight mishap that took her life on the side of a Nevada mountain in 1942. It also provides a day-by-day account of the struggles of Lombard's husband, Clark Gable, and other family, friends, and fans to cope with the tragedy. In effect, having just completed the first sale of war bonds and stamps in the nation following its entry into World War II, Lombard became the first Hollywood start to sacrifice her life in the War. The War Department offered Gable a funeral service with full military honors, but he refused it, knowing that his wife would not approve of such spectacle. Based on extensive research rather than gossip, this investigation further explores the lives of the 21 others on the plane, including 15 members of the U.S. Army Air Corps, and addresses one of the most enduring mysteries of World War II. On a clear night full of stars, with TWA's most experienced pilot at the controls of a 10-month-old aircraft under the power of two fully functioning engines, why did the flight crash into that Nevada mountainside? This gripping page-turner presents the story of the people on the plane, the friends and families left behind, and the heroic first responders who struggled up a mountain hoping to perform a miracle rescue. It is a story of accomplishment, bravery, sacrifice, and loss. She started reading it immediately and kept telling me how much she was enjoying it. 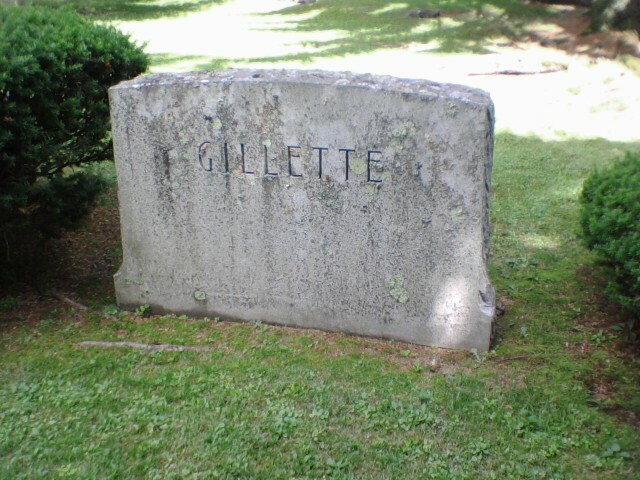 One fact that really stood out is that the co-pilot of the doomed flight, Morgan A. Gillette, hailed from right here in Burlington, Vermont. 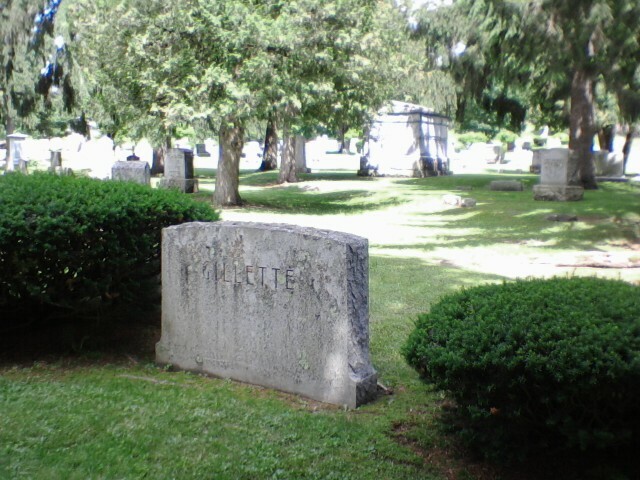 The book revealed that he was buried here, too. In passing I mentioned to her how cool it would be if he were buried in the historical Lakeview Cemetery where both of Mom's parents are buried. A quick Google search on findagrave.com revealed that shockingly, that is exactly where he was buried. So on Father's Day afternoon we visited the cemetery to pay our respects to my grandfather (who passed away before I was born), and to attempt to find the pilot's grave. It almost felt like looking for a needle in a haystack, but by keeping our eyes peeled for the distinctive mausoleum in the background, we found it in under a half hour. I find old cemeteries incredibly fascinating, and particularly love this one, so this was a pretty amazing experience. After so many years of loving Gone with the Wind and Clark Gable, to help my mother find a local tie is something I won't soon forget. And not to get too graphic or anything, but the book goes into great detail about how in 1942 there was no DNA to identify bodies. The plane crashed into a mountain and there were body parts everywhere, so search teams "pieced people together" as well as they could. 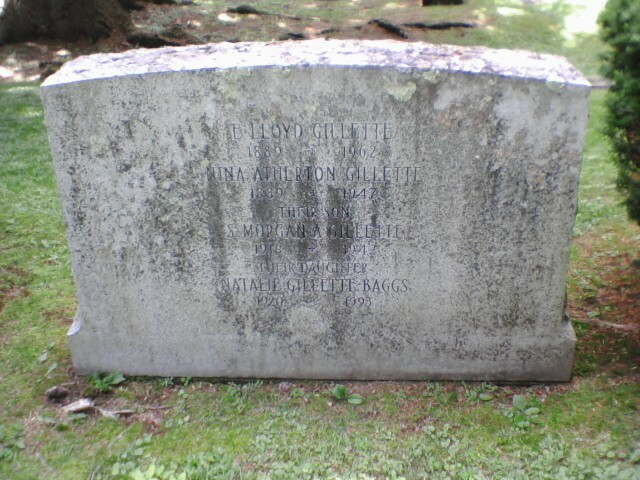 It's horrific to think about, but there's always the slightest possibility that a little part of Carole Lombard might be buried here in Burlington. How cool that there's a local link like that! It looks like you had a neat adventure finding the grave, too. Glad the book led to your adventure. I've toured Hollywood Cemetery (Richmond, VA) and it was very interesting. Don't you just LOVE it when you give someone a book as a gift and they end up really enjoying the book? Spreading the enjoyment books bring is a wonderful thing to do. Mommy has to see if our library has that book! What an interesting adventure decades after the fact, I like old cemeteries too. There is beauty in the way they once were maintained. What a co adventure! 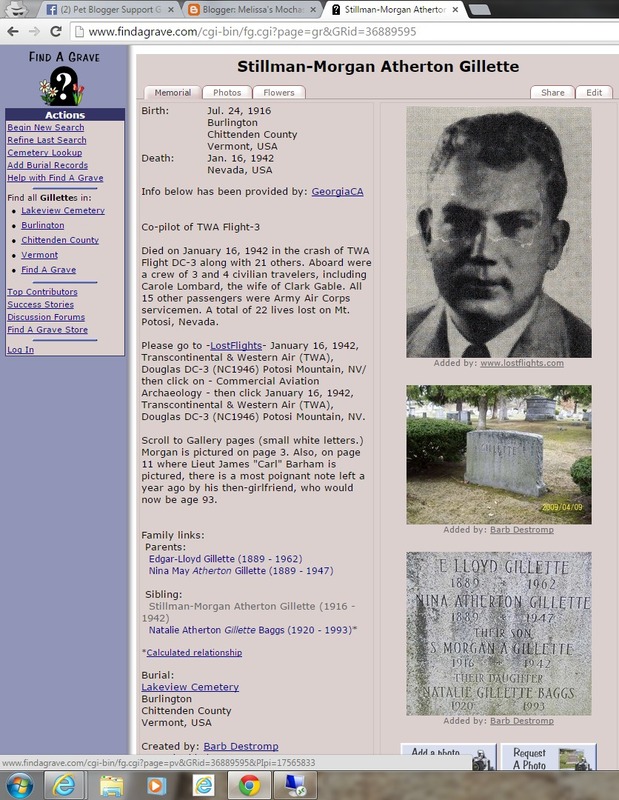 My dad used to look for historical graves and loved it. Wow! That is fascinating! Our mom was named after Carole Lombard and promises to look up that book. That is very interesting, old cemeteries are fascinating. ohhh this gave me chills! It was truly special and moving indeed. I am also a HUGE Gone With The Wind fan! OMG I adored that movie and the book! Wow! This is amazing! And what fun--plus a really special adventure to share with your mom! many blessings Melissa!